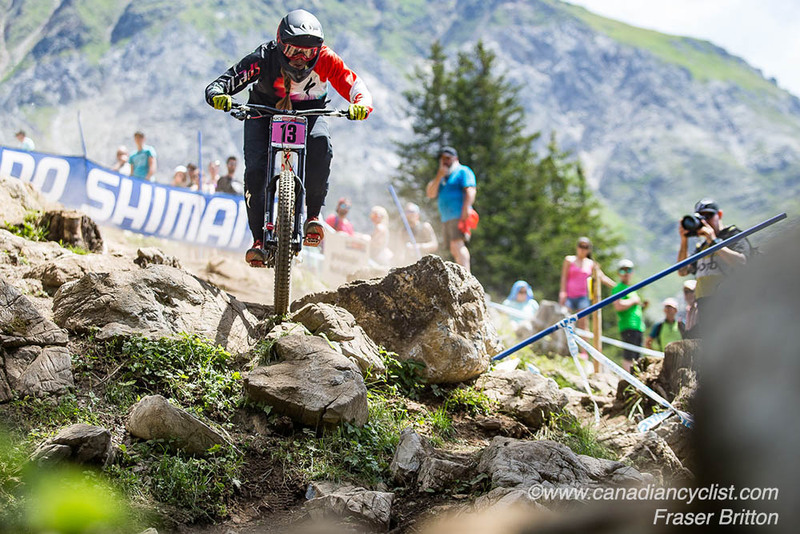 Two weekends of Canadian Mountain Bike Championships begin this weekend with the Downhill (DHI) and Marathon (XCM) championships. One week later, the Cross-country (XCO) championships will take place. The XCM Championships return to East Hereford, Quebec, on July 15th, where riders will compete in the longest endurance discipline of mountain biking, the Marathon. The race opens with a long climb, punctuated by sections of singletrack. After a descent at the 30 kilometre mark, riders began a series of climbs to the highest point of the course at 864 metres, 60 kilometres into the race, before descending steadily to the finish line. The defending champions are Elyse Nieuwold of Newmarket, Ontario for the women, while multi-time XCO and Cyclo-cross champion Geoff Kabush (Scott-Maxxis) of North Vancouver, BC, won the men's. Kabush will not defend his title, since he is just finishing up the B.C. Bike Race stage race. "We are excited to once again return to the East Hereford region of Quebec for the 2017 edition of the Canadian Cross Country Marathon Championships," said Josh Peacock, Event Coordinator for Cycling Canada. "As a part of the greater FestivAllezY Jean-D'Avignon, riders at both the competitive and recreational levels will be treated to some of the best terrain the region has to offer. We expect both familiar faces and new challengers to compete for the coveted maple leaf jersey, and look forward to some great competition." The Downhill Championships will be held at the well-known venue of Panorama, BC, which has a long history of producing top level competition. "We are very excited to have Panorama Mountain Resort play host to the 2017 Canadian Downhill Championships," said Peacock. 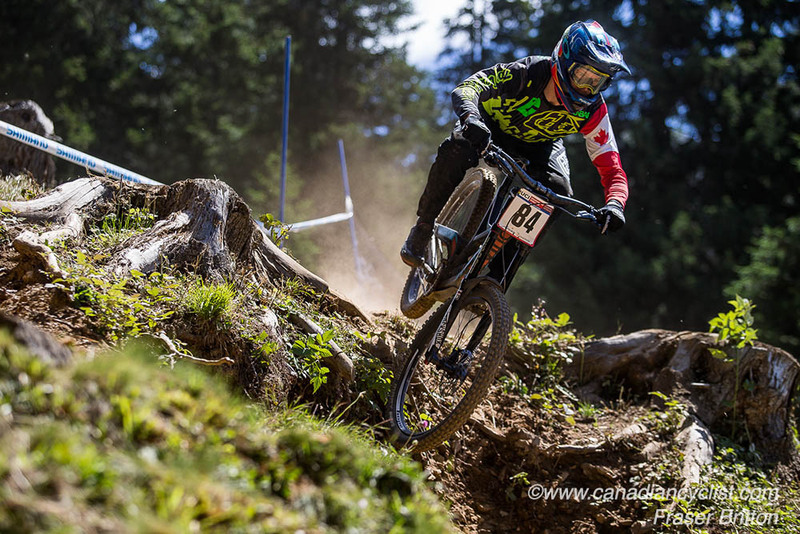 "Hosted in conjunction with the Dunbar Summer Series of events, the weekend will provide racers and spectators alike a chance to experience the best downhill racing Canada has to offer at one of Canada's prime mountain resorts. With Canada's biggest names in Downhill present, we expect competition to be tight, and the course to have the technical challenges Panorama is known to offer." The competition will begin on Saturday, July 15th, with official seeding runs for Men and Women in the Elite and Junior categories. Sunday, July 16th, the Championship races will take place for all categories. Canadian red and white maple leaf jerseys will be awarded for both women and men in Under-17, Junior (17-18), Elite (19+) and Masters age group categories (30-39, 40-49 and 50+ for men, 30+ for women). Among the athletes expected to be in attendance are World Cup professional riders Miranda Miller (Specialized), the defending women's champion, Vaea Verbeeck, seventh at the most recent World Cup, and Mark Wallace (Canyon Factory), who is currently ranked sixth in the world.